Guess what?! I didn’t write this article! 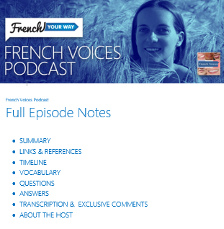 My husband did 🙂 He had been wanting to write a post about driving in France since we last went in summer 2014 and he had to learn how to drive…not only on the right-hand side of the road but some rules may be confusing to you (at least if you are Australian). Driving in France started as a scary experience! Just remember that in France people drive on the right! The steering wheel (=le volant) is on the left hand side of the car, so you need to shift gears (= changer de vitesses) with your right hand. This was very hard for me to get my head around at the beginning as we drive on the left here in Australia, with the steering wheel on the right hand side of the car. As a general rule, rental cars (= voitures de location) in France are manual, or stick shift. If you are not familiar with driving a manual car, it would be highly recommended for you know how to drive a manual car before you consider driving in France. Automatic cars are not that common and can be significantly more expensive to rent. 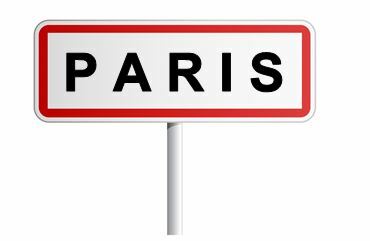 On entering a town or village, the moment you pass the sign (= panneau) with a town’s name, the speed limit becomes 50km/h. Right after you leave the town, which is signified by the town name’s sign crossed out, then you can return to the country speed of 90km/h. On a freeway (= autoroute) , the speed limit is 130km/h (reduced to 110km/h in case of rain, fog, etc). The nice thing about freeways compared to here in Australia is that people tend to stick to the right hand lanes unless they are overtaking, and they follow this rule religiously over in France. Roundabouts work slightly differently to how we are used to in Australia. In Australia, go around the roundabout in a clockwise direction. In France, go around the roundabout in an anti-clockwise direction. In Australia, never change lane inside a roundabout. 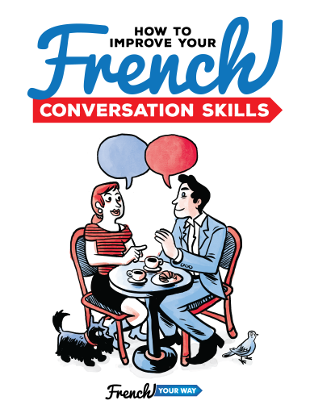 In France, you do (but don’t forget to make a headcheck first!). That’s also why it’s important to indicate your intentions before exiting. In Australia, if it’s a two lane roundabout and you’re in the outer most lane, then you stay in the outer most lane for the duration you are in the roundabout, if you are in the inner most lane then you stay in the inner most lane for the duration you are in the roundabout. In France, if you plan to take the first exit i.e to turn right (remember: we’re going anti-clockwise!) 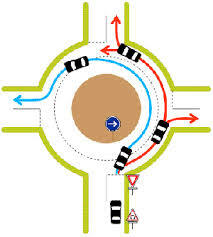 or to go straight, approach the roundabout from the right/outer most lane. If you plan to take one of the furthest exits/to turn left, approach the roundabout from the left/inner most lane, indicating left. Enter the roundabout to its center and a bit before you reach your exit, change lane to proceed to the outer side of the roundabout (indicate right and make a good headcheck!!). If the roundabout is too busy, that may mean you needing to go around it a few times before you manage to make your way to the outside and finally the exit! That’s why driving around the Arc de Triomphe in Paris is a nightmare and there are so many accidents: it’s an 8-lane roundabout with no visible lanes painted on the ground! Imagine this: you’re driving on a straight road and approaching an intersection. You’re not facing any stop sign or give way sign nor traffic lights (= feux de signalisation). In Australia, we go into autopilot mode and just drive on. But in France, if a car comes out to your right, you need to give way to them! The car that is on your right will not even think twice and just drive straight out because THEY have right of way (= la priorité). Fortunately this mostly only happens in small towns, where no priority is marked (i.e no paint, no sign). In most intersections, there will be a road sign or a painted mark on the floor indicating who has right of way, who is facing a stop (hard thick painted line) or a give way (dotted line or “Cédez le passage” sign). The first sign indicates that you need to give way to any vehicle coming from your right. The second sign indicates that you have the priority/the right of way (for the upcoming intersection). 6. Others: my tips for you! 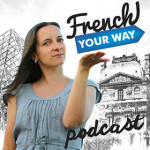 Try to avoid trying in the larger cities such as Paris, Lyon and Marseille. It’s just chaos in some of these cities. Practice in a small town first. If it’s going to be your first time driving in Europe or first time driving on the right. Then the best tip that I could give you is to hire your car in a small quiet town and practice there first. So if you mess up at least there won’t be tons of traffic and complications arounds. That’s what we did: our journey started in Marseille, but we didn’t rent the car from Marseille. Instead, we took the train to Aubagne, a smaller and very picturesque town only minutes from Marseille. We rented the car there. Some of the country roads in France are tiny and can hardly fit two cars compared to Australia. I was trying to stick to my own lane on these roads and everyone in the car would panic cause it feels very close to the edge of the road, and it was even harder to maintain the speed of 90km/h while doing this. The tip that I’ve learned is that on a long stretch of road where you can see the on coming traffic, it’s ok to drive more in the middle of the road. But make sure you pay attention to on coming traffic! Good Luck and keep safe while driving in France! Share below your experiences of driving in France, and maybe your tips if you can think of more!